Pursuing collaborative opportunities identified in the Environmental Protection Agency’s Community Building Blocks recommendations report. Hired a social worker and built a safety and security team to serve our most vulnerable patrons. Adopted and are now curating a multicultural collection for encouraging empathy and developing global citizens. Addressed equity and increased access by removing overdue fines and fees for nonprofit rental of meeting spaces. Created a new strategic plan prioritizing engagement, learning, and stewardship. 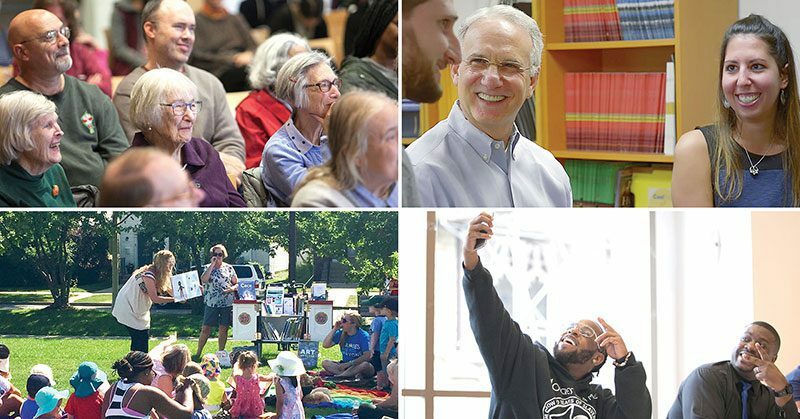 Revised the library’s vision to empower every voice in our community. Updated the library’s mission to share information, services, and opportunities that fulfill those aspirations. Unified internal operations and strengthened strategic partnerships for wider and deeper community impact. How do we learn about community aspirations? We start with a single question: What kind of community do you want to live in?